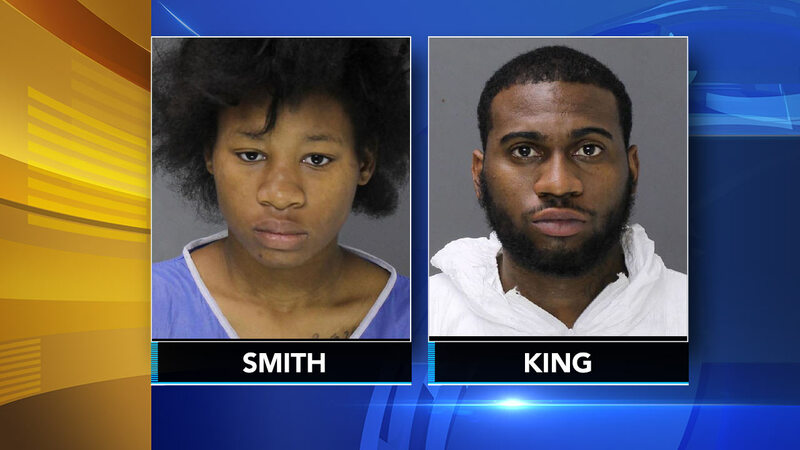 WILLOW GROVE, Pa. (WPVI) -- A mother and her boyfriend are now charged with first-degree murder in the beating death of a 4-year-old boy in Willow Grove, Pa. The murder charges against 19-year-old Lisa Smith and 26-year-old Keiff King were filed after an autopsy on 4-year-old Tahjir Smith was completed, the district attorney's office said Friday. The child died after he was allegedly beaten by the suspects for spilling his breakfast cereal. "The forensic pathologist's determination that Tahjir's death was homicide shows what detectives found in our investigation - that this was a violent, sustained beating of a 4-year-old that caused his death," said District Attorney Kevin Steele. According to Smith's confession, she and King were disciplining the boy for spilling his cereal and made him get into a push-up position. She said they then "laid the boy on the bed with his pants and underwear removed, grabbed a blue Levi's sandal and repeatedly struck him." She said King "punched Tahjir in the back of the head," before putting him in a scalding shower and burning him. According to court documents, Tahjir became unresponsive in the home and went in and out of consciousness. Police said that's when his mother called police and then began to walk down the street with the child. Officials said around 6:10 p.m. they responded to a report of a respiratory emergency. According to an affidavit, Smith, who was six months pregnant at the time, was found wandering around outside her house with the 4-year-old lying nearby. Paramedics arrived to find the boy limp and unresponsive. The boy was taken to Abington Memorial Hospital where he was pronounced dead. The initial autopsy revealed that in addition to fresh injuries on the boy's body, "Injuries inflicted from a sustained event," and old rib fractures were also discovered, the D.A. said.